Has it been a while since your last dental checkup? We get it – life gets busy. You’re keeping up with your brushing and flossing, not experiencing any pain, and your teeth look fine, so does it really matter? The truth is that avoiding or skipping regular dental checkups could potentially put your otherwise healthy mouth at risk for gum disease. In cases of advanced gum disease, bacteria in the mouth could potentially travel through the bloodstream, which could be a link to more serious conditions, including heart disease. According to the Centers for Disease Control, heart disease is the leading cause of death for both men and women in the U.S., causing more than 610,000 deaths annually in the U.S. alone. Research suggests that heart disease and stroke may be linked to inflammation and infections caused by oral bacteria. Thus, a person with moderate to advanced gum disease may be at greater risk. 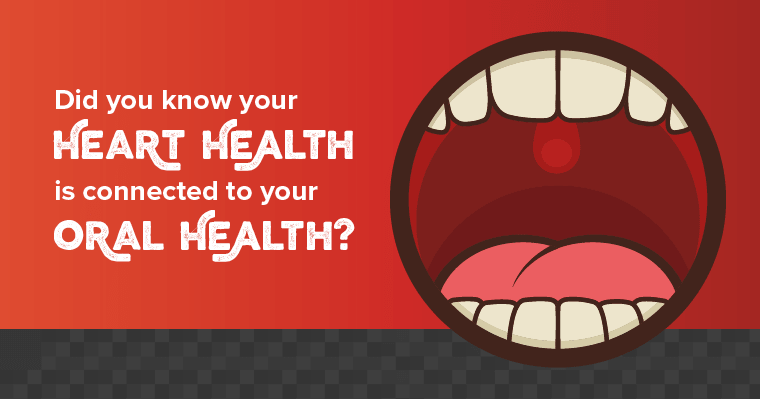 A healthy mouth is a good indicator of overall health; conversely, an unhealthy mouth could indicate serious health problems. Your dentist may spot warning signs for a range of health conditions and will alert you if there’s a visible need to consult a medical professional. Learn more about the links between a healthy mouth and a healthy heart in the infographic below. Don’t skip your regular dental checkups! Call us 216-226-3800 to schedule your appointment today.